Hello! Today I have two polishes from the Esmaltes Da Kelly Star Wars Collection to share. These were kindly sent to me by Annette from Rainbow Connection. I have tested them both worn on their own as regular polishes, and also as stamping polishes over black and white. Read on for my full swatches and more info! 'Luke Skywalker' is a bright teal with green shimmer. 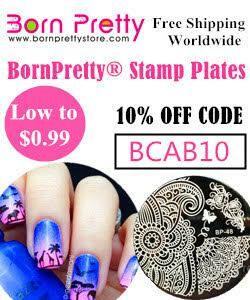 The formula is just slightly on the thick side but is very smooth and easy to apply. This is also a complete one coater. For my stamping I used one of the fleur-de-lis patterns from UberChic Beauty plate Fairytale 02. My ring and pinky nails show one coat with topcoat. This is a typical teal, and is slightly more green toned than it photographs. 'Obi Wan Kenobi' is a brown toned red base with green shimmer. 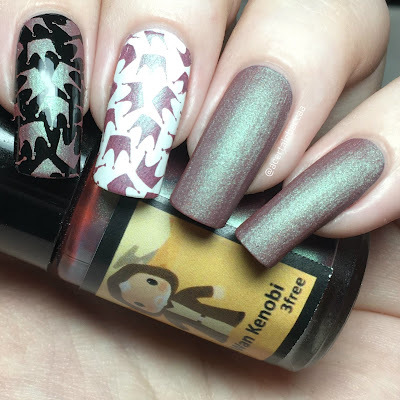 Again this has a slightly thick formula but is easily applied and completely opaque in just one coat. 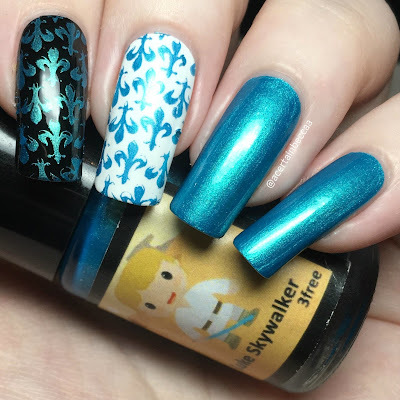 For my stamping I used one of the crown patterns from Fairytale 02. This dries down matte. My ring and pinky nails show one coat without topcoat. I really like the matte finish on this, but topcoating brings out the shimmer so I'm torn. Below shows everything topcoated. What do you think? I love how versatile EDK polishes are. 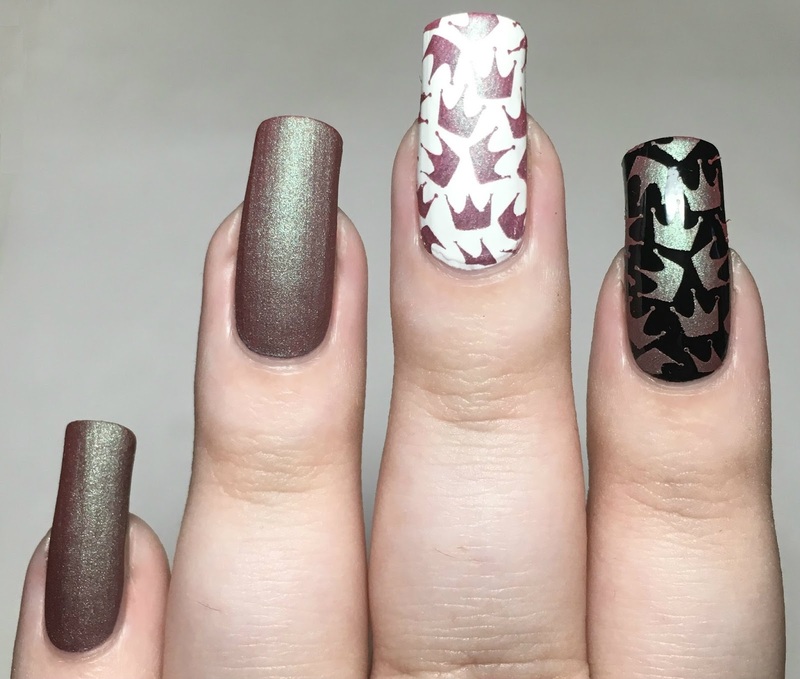 It's great to be able to match the base colour on one nail to the stamping on another. Plus you can't beat a one coater! Star Wars fan or not, I definitely recommend picking up some of this collection. 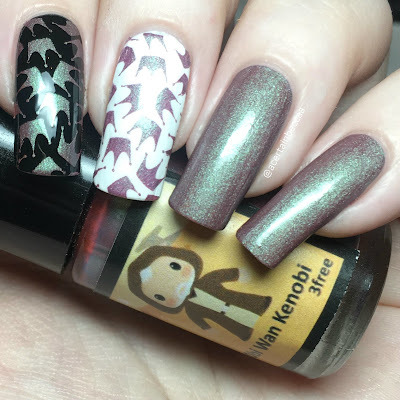 The Esmaltes Da Kelly Star Wars Collection is available for £6.50 each on Rainbow Connection. You can find 'Luke Skywalker' here and 'Obi Wan Kenobi' here. 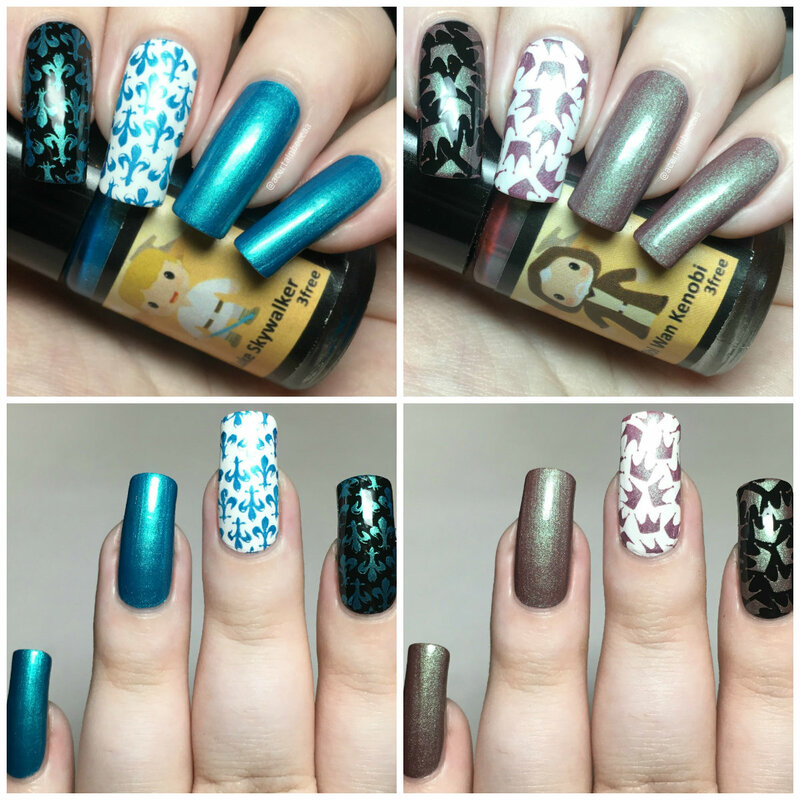 You can also find Uberchic Beauty Fairytale 02 here.